Bus transfers: Whether from Bremen or Bremerhaven, from one of the neighboring airports or simply from the center of the city, you can rent a bus from one of Germany Bus' bus rental company partners at any time for a transfer to Bremen. Besides, you can easily rent a bus for a transfer within Germany or an international journey wherever in Europe. Sightseeing tours: As everywhere in Germany, there is the possibility to book buses with driver for guided visits in Bremen too. Depending on the size of your group, we make available buses nd minibuses with driver. We can also provide you with other services as the hiring of an experienced tourist guide from Bremen for your tourist trip. If you have any other desire, please let us know as Germany Bus and the tour operator City Tours will gladly make everything possible to address your needs - order menus for the group, book tickets for any kind of events etc. Excursions by bus: The buses of Germany Bus' partners are at your disposal for excursions in view to visit and discover tourist attractions in Bremen and its surroundings. Whether you need us only to rent a bus or organize your whole trip, the choice is yours. We also are in position to offer numerous other services related to your tourist trips such as the planning of the excursion from beginning to end. Travels by bus: Bremen can be the departure location of bus journeys in Germany and also to bordering countries like Denmark and Netherlands. If you wish to travel by bus in Denmark or Netherlands, the bus rental platform Germany Bus will be happy to help you out and pick the most appropriate bus for your journey. Whether you want to drive to Austria, Italy, or Poland, you will always find a coach and a driver to drive you there. Please send us an email detailing your travel expectations and mention any indication that might help us defining your demand for a trip from Bremen. We will gladly come up with the best estimate of a personalized offer. 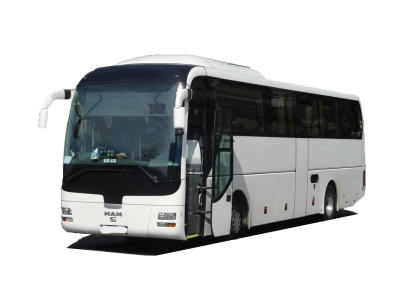 Bus rental in Bremen: This company proposes bus trips in Bremen, bus or minibus transfers from the airport, sightseeing tours by bus or minivan, and buses for trips in Germany and all over Europe. Bus tranfers in Bremerhaven: here, you can rent buses with conductor for airport transfers to and from the Bremen airport, for city transfers in Bremen and Bremerhaven as well as for sightseeing tours and bus journeys in Lower Saxony, Schleswig-Holstein, entire Germany, Netherlands, Belgium and Europe.
. We will be delighted to draw up the best tailor-made offer according to your instructions in the shortest time possible. Bremen is waiting for you!